Last night I decided to purchase a digital copy of Dark Souls Remastered on an impulse. I already regret it. I’m a huge fan of the Souls series, so when Remastered was announced for Switch it was a no brainer for me. It may have even been the proverbial straw that broke the camel’s back and convinced me to buy a Switch, even though the release came long after the game dropped on other platforms. I still found myself hemming and hawing over whether or not I should get the game. I’ve got a lot of other games to play and finish, including Dark Souls III on PC. I ended up caving last night and buying it because I had a few beers in my system for unkown reasons. 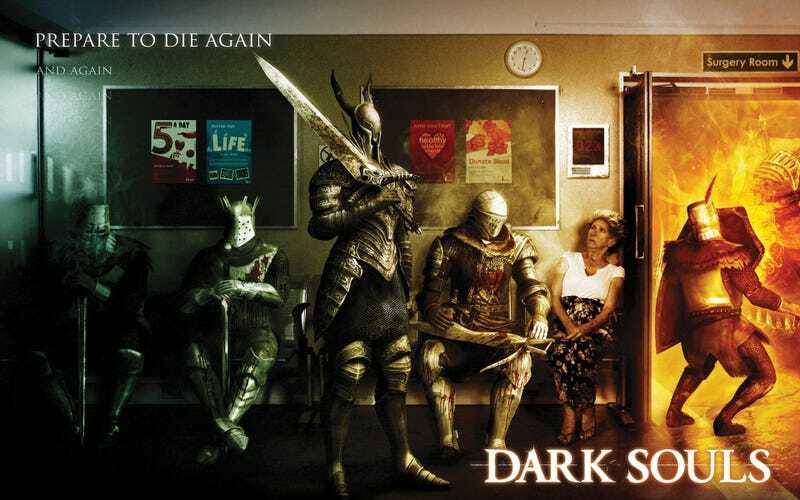 Is this the perfect way to enjoy Dark Souls? I think it might be. The game looks really good on the Switch. The gameplay is satisfying as ever. Included are a bunch of QoL features, such as being able to use multiple items at once and change covenants at bonfires. There’s probably a few more I haven’t noticed yet, but these little things make for a much more streamlined experience. I have not noticed any lag or framerate drops as yet, except for maybe once in the graveyard when the giant skeleton disintegrated. Apparently the game is running at 30fps, which is entirely acceptable IMO. The multiplayer aspect has been dramatically improved - on the other versions I played, I generally struggled to find other players to summon. There were also a lot of hackers, when you did find other players in PvP areas; there was nothing more frustrating than hammering away at someone who’s life bar didn’t budge. This is something I haven’t encountered as yet, but this isn’t to say that there are no hackers at all. I’ve had no problem summoning up to 3 phantoms (using the dried finger) which makes most bosses a breeze. Laughably so, even. I beat the Belltower Gargoyles in less than 5 minutes on my first attempt, compared to the dozens of solo attempts on other platforms. Jolly co-operation, indeed! My only problem with the game so far has been finding the Joy-Cons less than optimal for the task at hand. They work well enough, but I find the convex shape of the control sticks a little difficult to grip at times. Perhaps some aftermarket grips would make this better. The control layout hasn’t changed when comparing to other platforms, but this means you are using B as the action button and A to cancel or exit menus. This is a little confusing! After playing on Xbox 360, my brain tells me B is roll and A is interact, leading me to fumble at the controls slightly at times. I haven’t done anything productive today. Dark Souls is really fun on the Switch and I’m going to have to try and limit how much I play. I can see the game consuming vast amounts of my time.. again. What platform do you think is best for Dark Souls Remastered? Am I talking the biggest load of nonsense you have ever heard? What do you think is the best covenant to join?